New Bucket Trucks | Lighting Maintenance Inc. 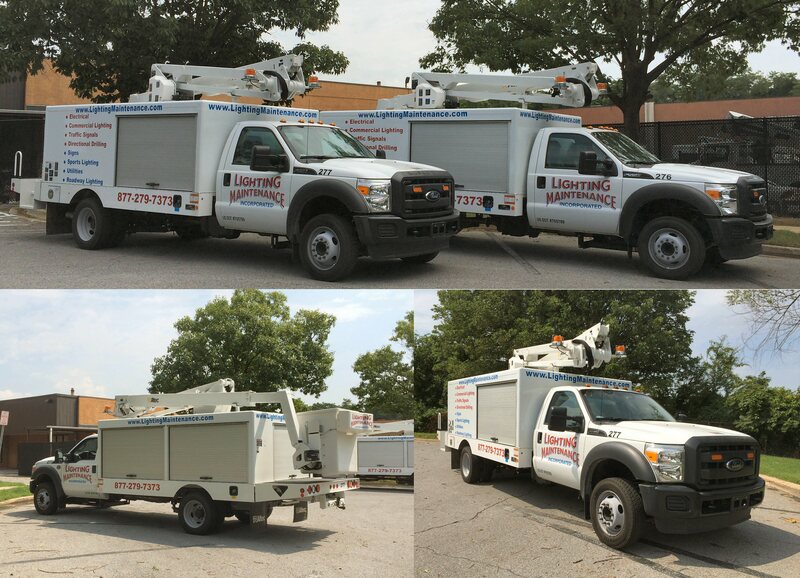 Lighting Maintenance Inc’s Service department is in the process of replacing its fleet with new “state of the art” fuel efficient Altec bucket trucks with 48’ reach. The first two trucks are being loaded and equipped now. Over the next three months we expect to replace all our bucket trucks in the Service Department. These units are custom made to our specifications, with enhanced storage area we can carry more material and keep it better organized cutting down on trips to the supply house. The latest example of our commitment to providing efficient and reliable Service will be on the road later this week.